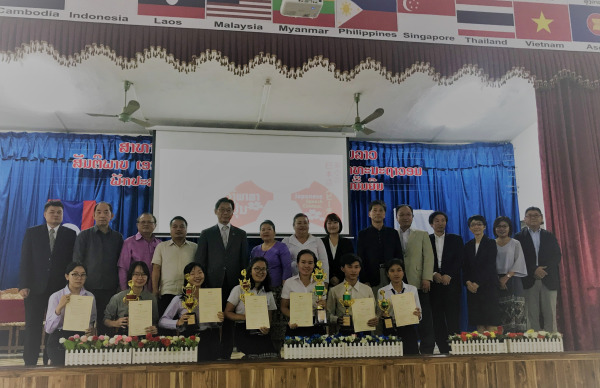 (KPL) The 16th Japanese Speech Contest was held at the Vientiane Secondary School in Vientiane Capital, on Mar 16 to promote Japanese language studies in the Lao PDR and provide an opportunity for local students to demonstrate their linguistic abilities. The event was organised by a committee comprising the Embassy of Japan and Japanese language institutes, and interested students from numerous local schools. 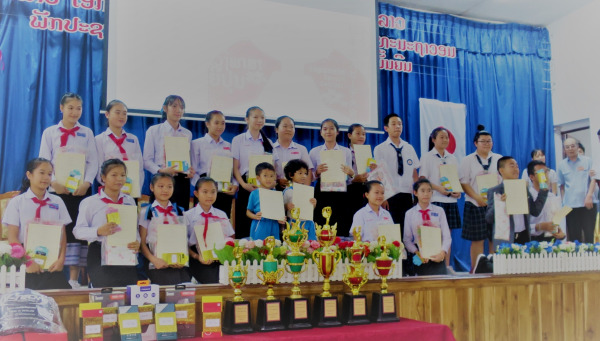 The Japanese Speech Contest has been held every year since 2004 to encourage more Lao students to learn Japanese and deepen mutual understanding between the people of both nations. In this year’s contest, there were 21 students, for the reading section, and 17 for the speech section, all of whom were selected by the organising committee in the preliminaries. They demonstrated their Japanese language skills by reciting Japanese texts or delivering speeches that they had prepared themselves. Furthermore during the day’s proceedings, two speakers presented speeches of free theme, and singing and dancing performances were also presented by students during the contest. The event was attended by Mr. Viengthavisone Thephachanh, Vice President of the Foreign Relations Committee of the National Assembly, Mr. Xomphou Keopanya, Director General of Department of Education and Sports of Vientiane Capital, and Mr. Takeshi Hikihara, Ambassador of Japan to the Lao PDR. In addition, government officials, teachers, students, local residents, and family and friends of those who participated in the contest came to the event, to cheer on the contestants.